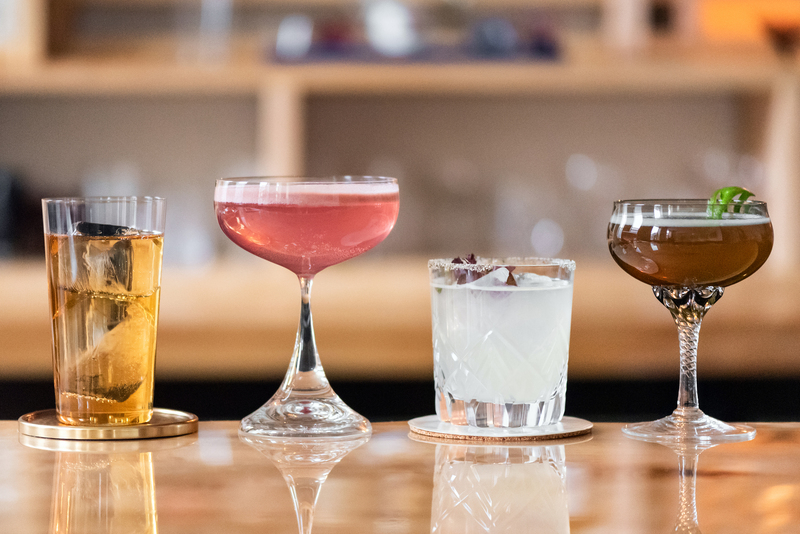 An intimate eight-seat bar is the focal point of this West Loop omakase, where guests are served bespoke cocktails from lauded mixology maven Julia Momose (Aviary, GreenRiver). Reserve a seat in the dining room to order from the a la carte menu, or go all in on the $130 tasting menu, which includes five snack-size dishes and a handful of hyper-personalized cocktails. 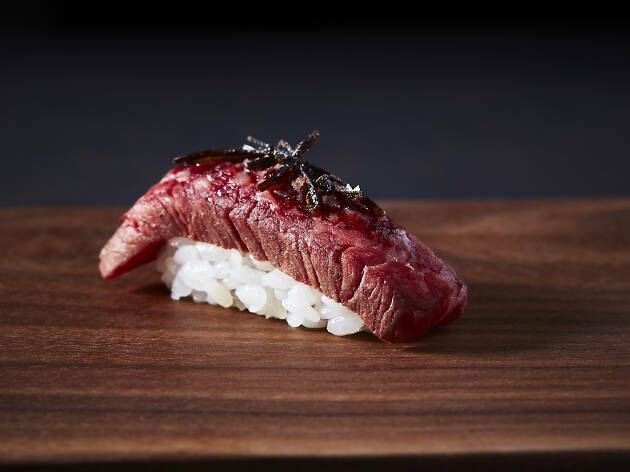 Enjoy indulgent bites like A5 wagyu with black garlic molasses and Japanese milk toast with fermented honey ice cream and a shower of fresh truffles. 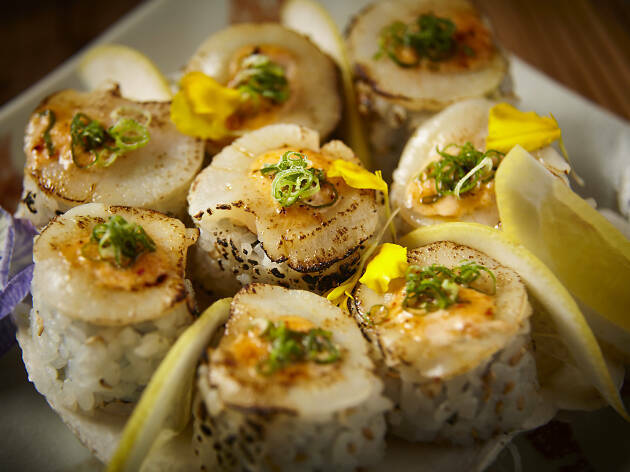 At this River North sushi den from Lettuce Entertain You, diners can up the ante with one of two omaKAZE experiences, named as a nod to chef Kaze Chan. 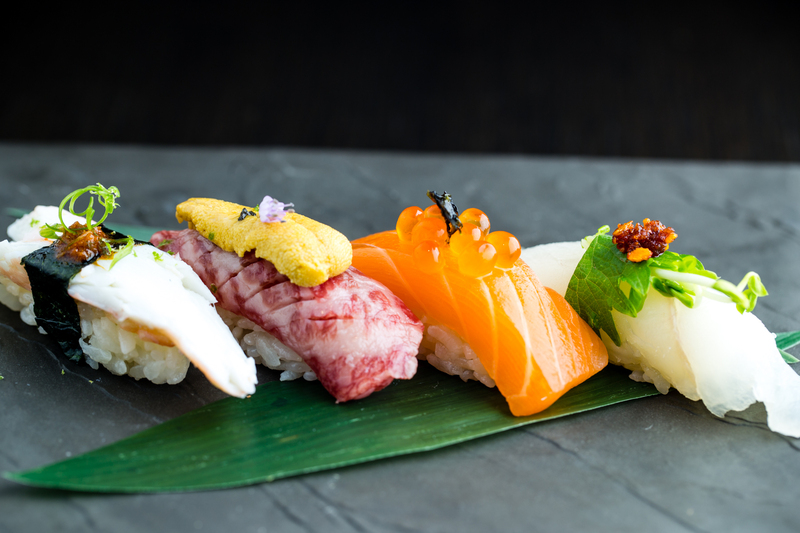 Choose from six or 14 courses ($48–$68 and $88–$108, respectively), which include pristine pieces of nigiri, sashimi and edomae sushi. 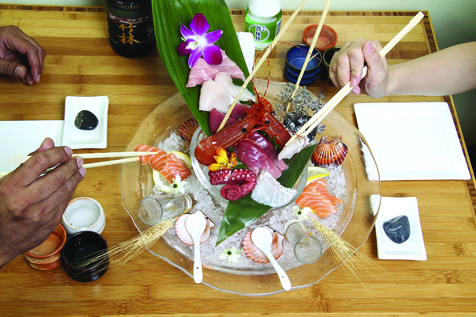 The tiny, four-seat counter allows you to get up close and personal with the restaurant's fish experts. Celebrated sushi chef B.K. Park serves an extensive omakase menu at this small West Loop restaurant, which fetches $175 a head for up to 25 courses. 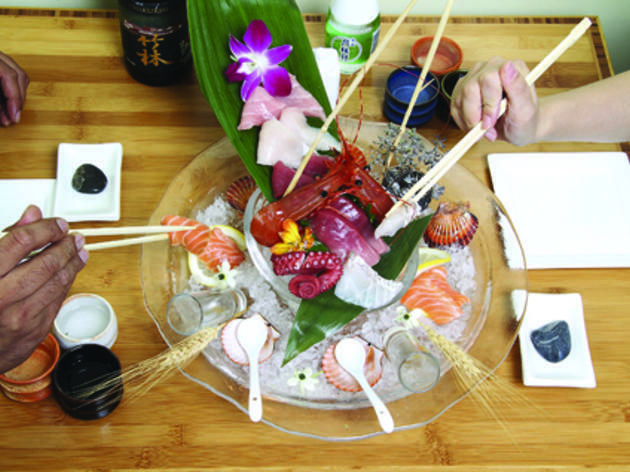 The menu, which is sprinkled with pieces of sashimi and nigiri, fluctuates with the seasons and includes indulgent morsels like king crab with uni miso, A5 wagyu butter and potato chip. The sushi counter boasts just 12 seats (there are an additional 10 seats behind it in the dining room), and each seating is limited to two hours. No need to rush: The chefs are trained to keep things moving at a comfortable pace. 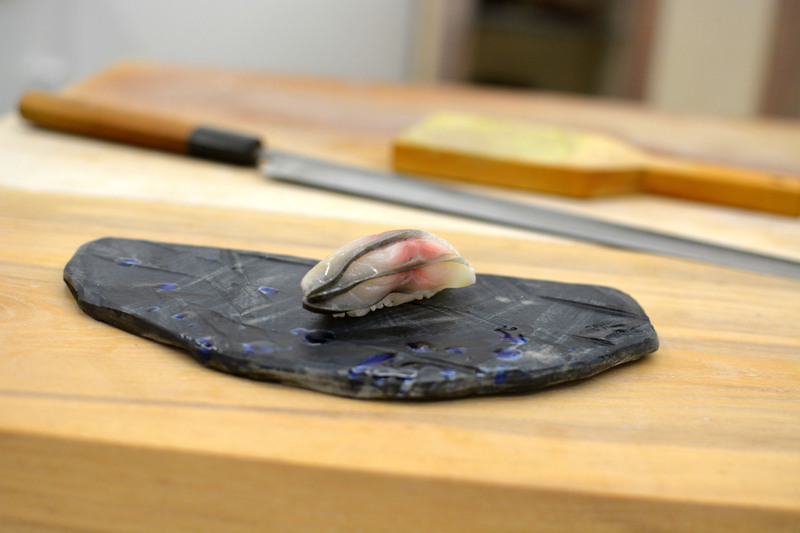 So you don't want to drop a paycheck on your first omakase experience, eh? 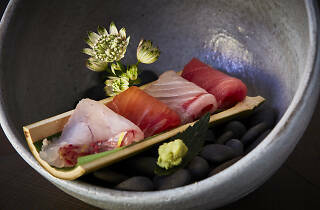 The introductory menu at Kai Zan rings up just under $70 and includes 10 courses of flawless seafood. 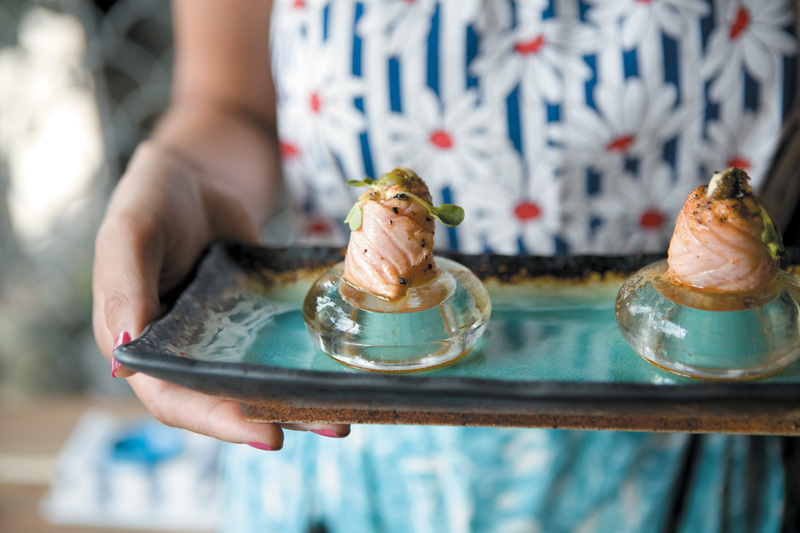 Guests can opt to upgrade to a more expensive menu that's dictated by the chef for $120. Psst! This place is B.Y.O.B. 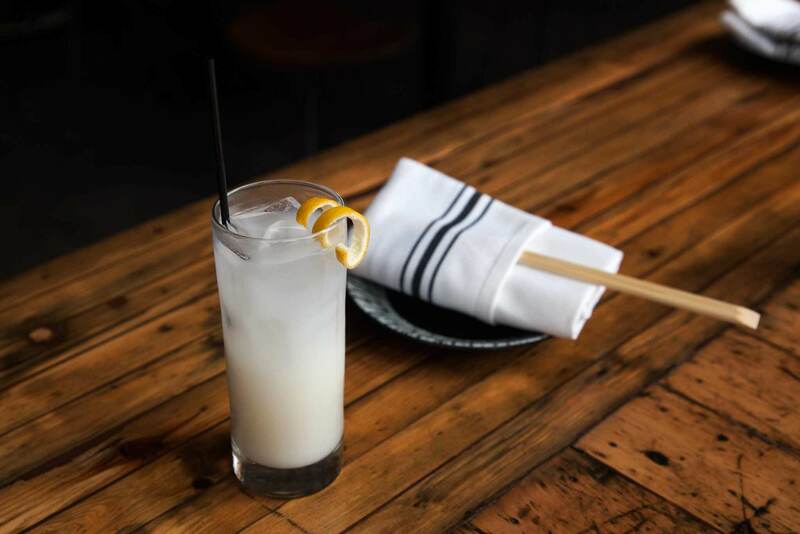 and charges a one-time $15 fee for two bottles, so bring your favorite sake or a delicate prosecco. The omakase menu at this tiny West Loop restaurant changes daily based of of chef Sangtae Park's whims and what's in season and available to him. 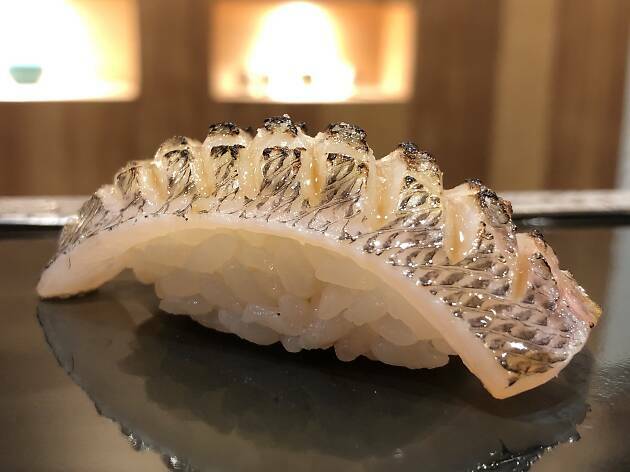 But if you're willing to put your trust—and $125—in the knowledgeable sushi chef, you can indulge in a 17-course menu that's packed with appetizers, sushi and dessert. 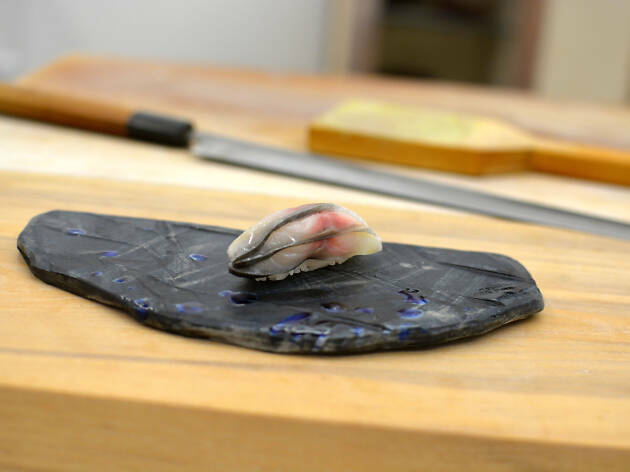 Reservations are available at 5:30 and 7:30pm, and only 16 guests are served each evening at the omakase counter. Helmed by chef Mari Katsumura, Yūgen melds contemporary Japanese cuisine with classic French techniques, resulting in a beautiful tasting-menu experience in the West Loop. The address and dining room may look familiar: The space formerly housed three-Michelin–starred Grace. 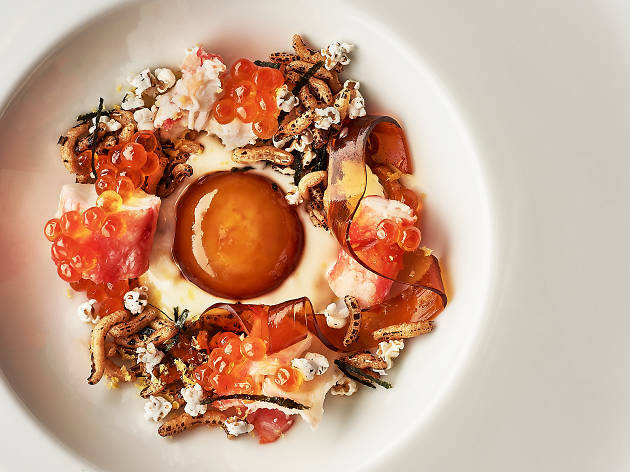 At Yūgen, guests are invited to splurge on a $205 11-course tasting menu, which includes delicate dishes like savory egg custard with Santa Barbara uni, foie gras and Asian pear. Pastry chef Jeanine Lamadieu crafts exciting desserts including the innocent-sounding "Milk and Cookies," a melange of buttermilk, meringue and caramelized hojicha milk. 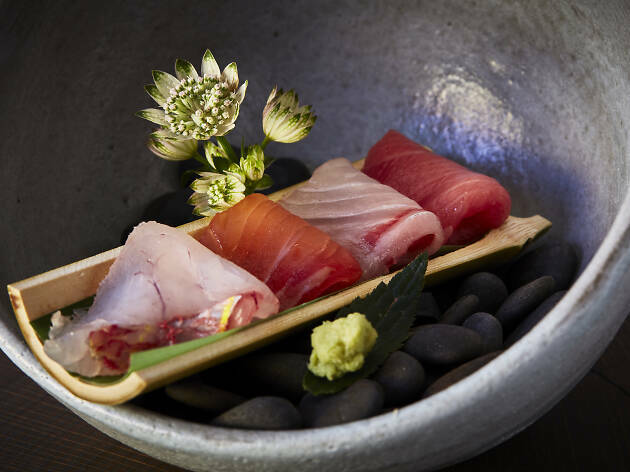 Put your trust in the expert chefs at Arami through two different omakase experiences. 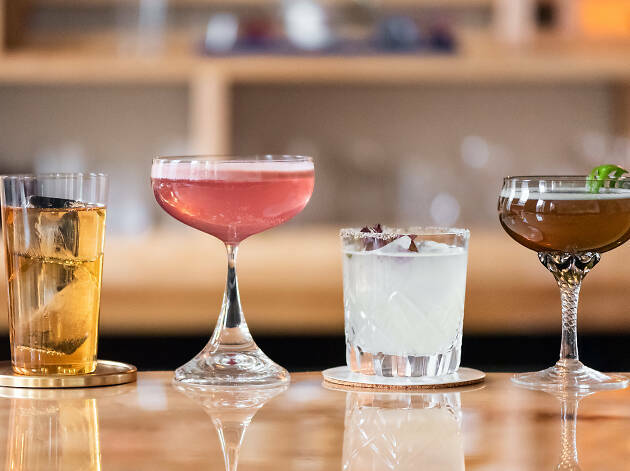 The first, a nine-course meal, is available to walk-in customers who want to explore the West Town restaurant's mainstays while still enjoying a few off-menu surprises along the away. 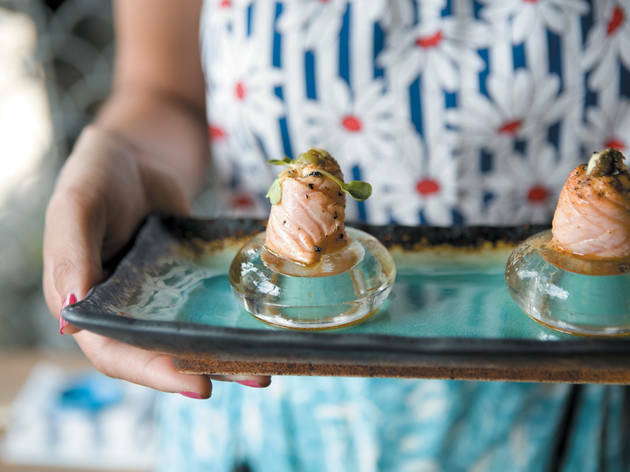 Alternatively, sushi aficionados will appreciate the other nine-course menu that's inundated with top cuts from executive chef Joseph Fontelera. Both omakases start at $110, and diners can opt to tack on beverage pairings for $55. 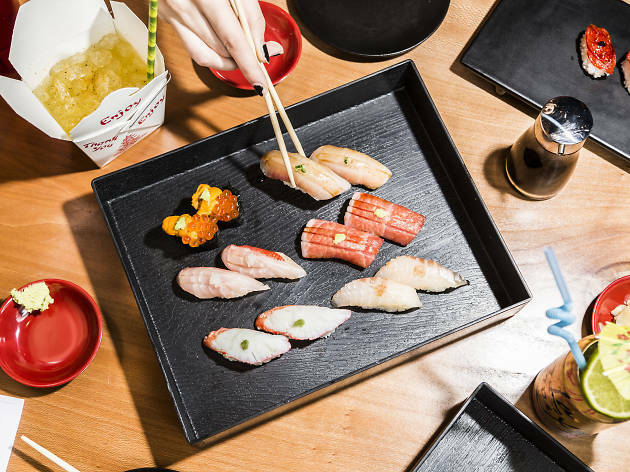 The menu at Katana is exhaustive, with everything from rolls and nigiri to chicken heart skewers and butter-poached lobster. Skip the guesswork and go omakase: Servers work with the table to establish a budget and identify likes and dislikes. 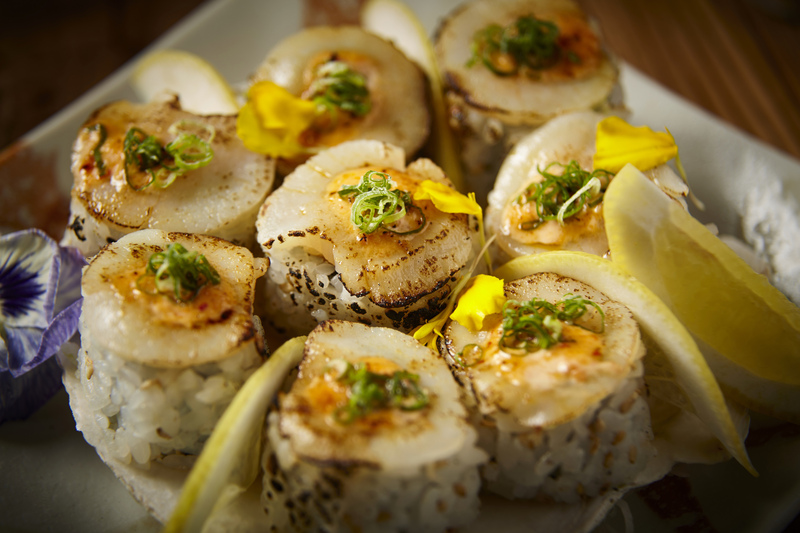 From there, all you have to do is sit back and enjoy the parade of food from the sushi bar and kitchen. Easy, right? 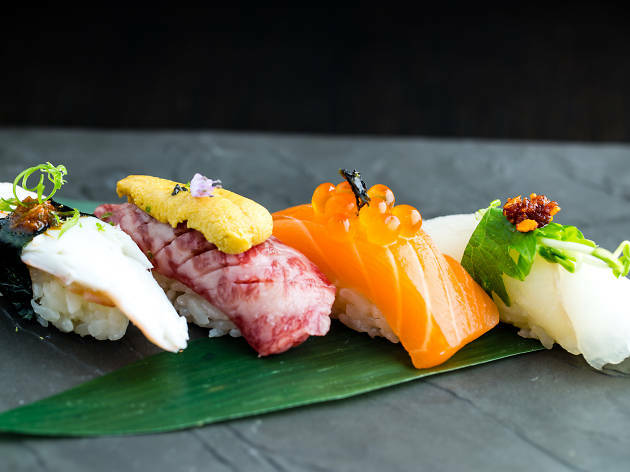 One of Chicago's most extensive (and expensive) omakase experiences can be found at Kyōten in Bucktown, where chef Otto Phan offers upwards of 20 courses at his eight-seat sushi counter. 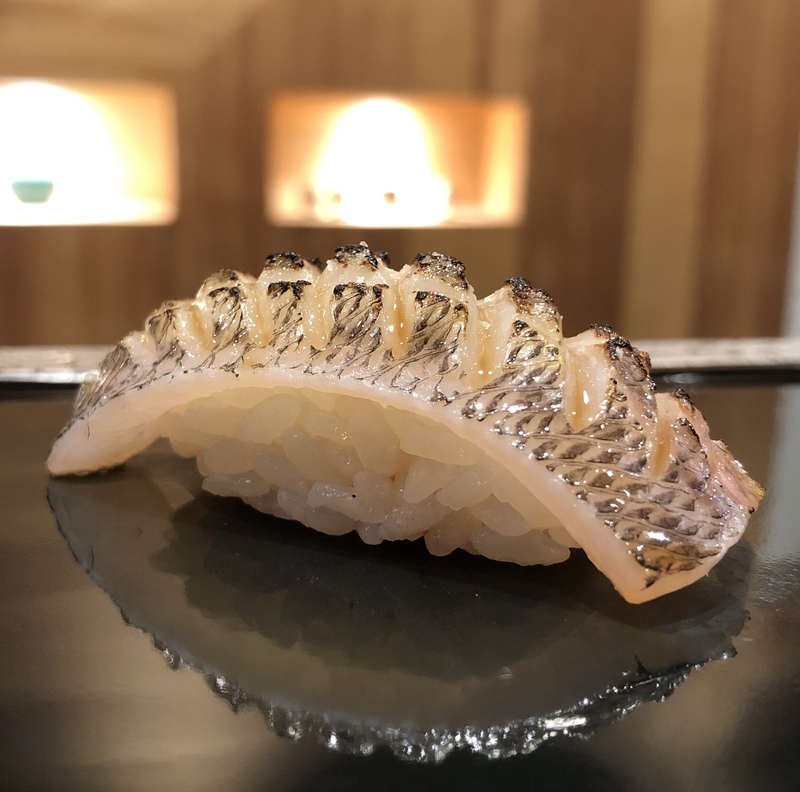 There are just two seatings per night (6 and 8:45pm), so you'll have to book in advance if you want to nosh on oceanic treats like kanpachi, uni, ebi and maguro. Priced at $220, the menu changes depending on what's available, and guests can toss in an optional sake tasting for $75 if they choose. This Phoenix import turns the traditional steakhouse on its side with an Asian slant, a stylish crowd and a menu bookended by sushi and Wagyu grilled over Japanese binchotan charcoal. 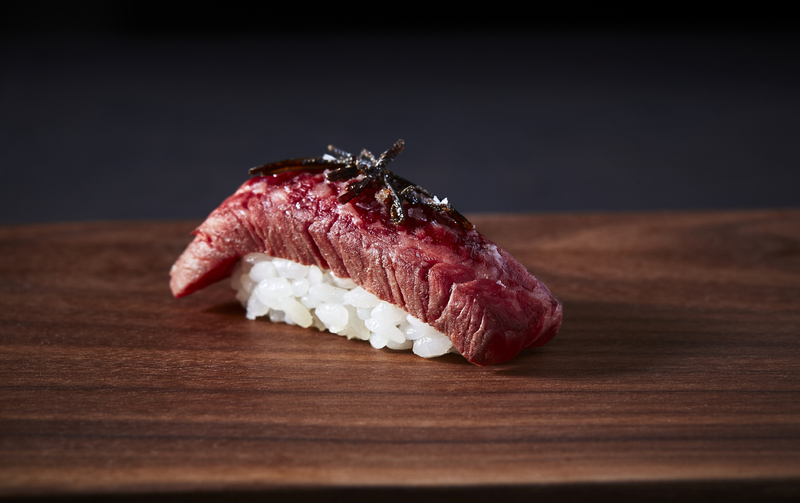 The dinner menu offers two omakase options for groups of two or more: At $98, the Signature menu is a mix of classic and premium dishes; for $128, the Decadent menu dips into rare ingredients. 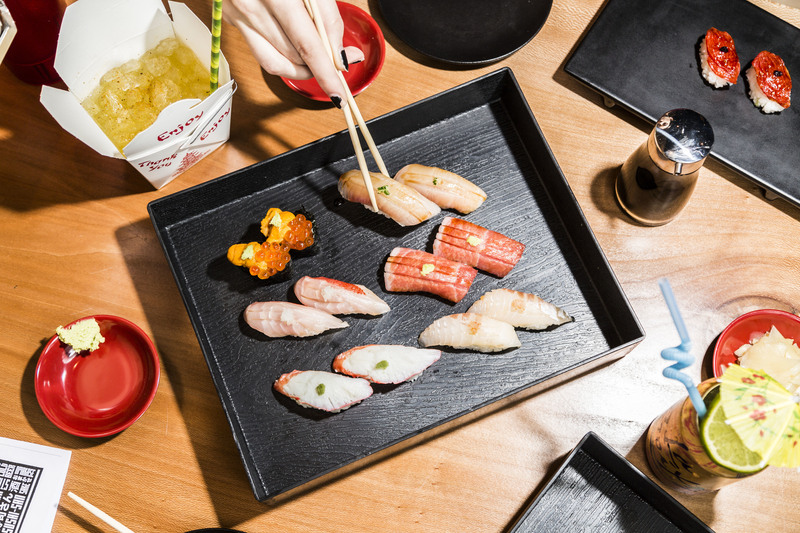 Situated below Ramen Takeya in the West Loop, Omakase Takeya offers a $130 prix-fixe menu that spans 16 courses and includes edomae-style sushi (raw fish on cooked rice with a dash of vinegar) and a collection of Japanese small plates. With just seven chairs and two seatings per night, this is a reservation you'll have to book in advance.